Probate property is property that no one already has a legal right to, either by operation of law or by contract. In other words, this is property that has claim to other than what is stated in a will. The administration of probate property is completely controlled by the probate property. The court reads the will and turns over possession of each listed property to the appropriate beneficiary. The will controls and, barring any ambiguities or other issues that call into question the validity of the will, no one can contest it. Typical examples of probate property include all the physical possessions of the deceased, also known as the testator. This includes real estate, cars, paintings, stock and bank accounts. If no one has a claim to the property outside of the will, then the property is almost certainly probate property, and is administered according to the will. Non-probate property is property that already has a beneficiary independent of the testator's last will. This can result from a couple situations. The first is contractual: a will cannot change the beneficiaries of a prior existing contract. Second, a will cannot interfere with the rights of survivorship. For example, if a husband and wife own a home as joint tenants, it means that both parties will own the entire house upon the death of the other. A will cannot give away the testator's rights in the property because the rights immediately transfer to the surviving spouse. 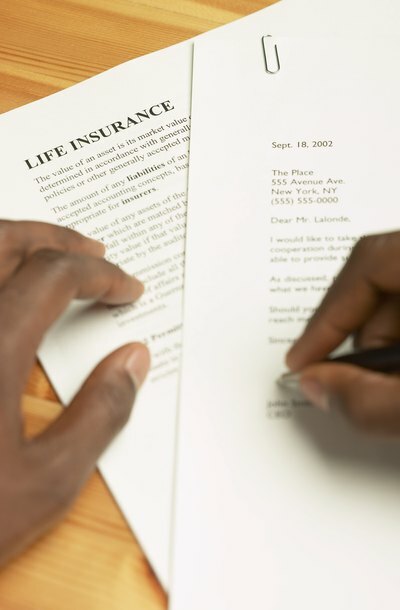 Because a large segment of the population has them, life insurance policies are one of the most common types of non-probate property. A will cannot change the listed beneficiary of the policy because the beneficiary already has an expectancy right to that property. The only thing the testator can do is change the beneficiary of the policy during his lifetime. Similar pieces of property include pension plans, 401(k)s and IRAs. In Ohio, as in other states, certain assets are classified as probate or non-probate property. Non-probate assets are said to pass outside of probate; this means they automatically pass to a joint owner or beneficiary without going through probate administration. Probate assets are subject to probate administration, regardless of whether the deceased, known as the decedent, left a will, known as dying "testate," or didn't leave a will, known as dying "intestate."